Sixteen years ago I was in South Africa getting ready to fly home after conducting a two week training course. Little did I know that it would take me days to get home. So, tonight as I was out walking I thought of a few things that I remember about the trip. 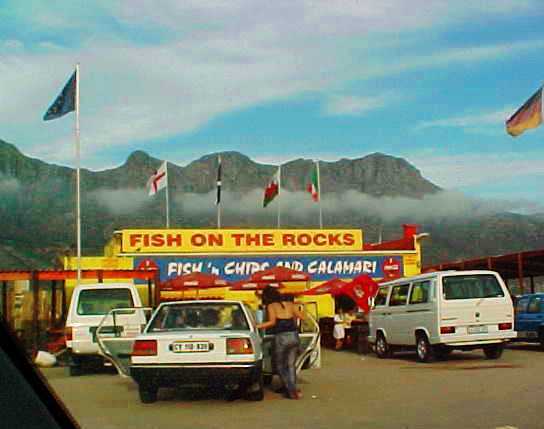 I remember getting some great fish and ships at Fish on the Rocks at Hout Bay. I should have some good fish and chips later this month when I am in England. I also remember the colorful beach houses at False Bay that we saw while taking a quick tour of the Capetown area. Not all the shacks were so nice though. Here is a view of one of the shanty towns. 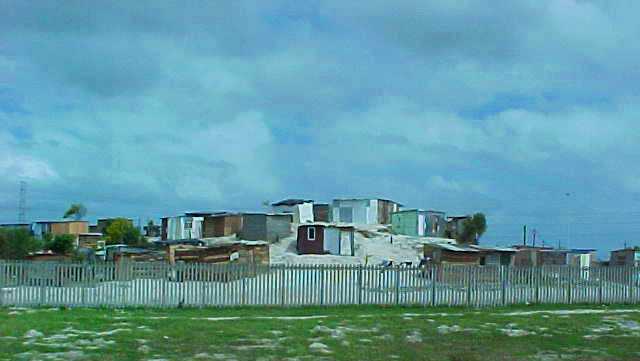 Many people live in these makeshift structures. A great memory from South Africa is being introduced to Nando’s which started in South Africa and is now a world wide restaurant chain. 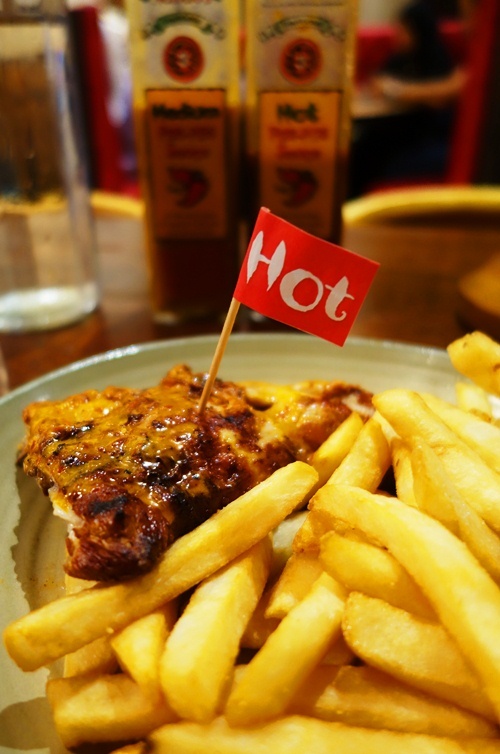 Another thing to look forward to in England is a trip to Nando’s in Cambridge. OK, one more picture. 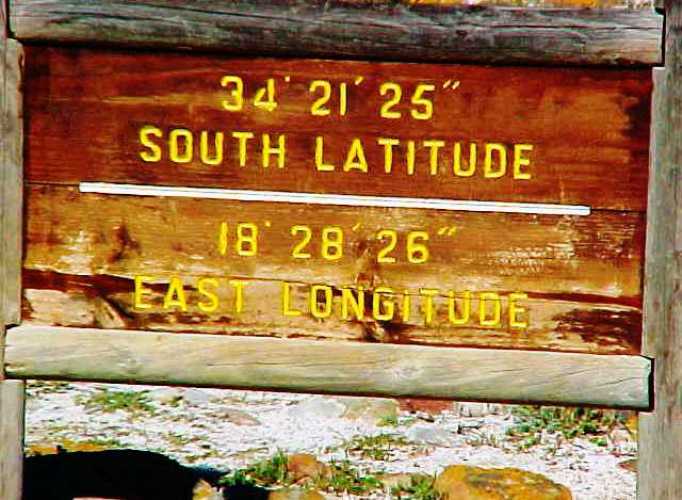 At the time I took this picture at the Cape of Good Hope it was the furthest south I had been. I have since surpassed this by quite a bit. I have been 30 degrees further south at 64°50′. I haven’t been quite as far north at only 61°21′. Now to get back to watching the hurricane coverage. This entry was posted in Memories, Nature, Travel and tagged cape of good hope, Capetown, Fish and Chips, furthest south, latitude, nando's, South Africa. Bookmark the permalink.